A new shop Miyashita Sake brewery just opened. From ancient times, there are places where excellent gourmet and cultural items have developed in Okayama Prefecture. It is said that Japanese sake made from a special rice known as Omachi rice, which is known as the roots of “shuzo koteki-mai”, or rice suitable for making sake, and which is made by the Bitchu-toji (or head brewer) who inherited his skill in the traditional way, is a sake which certainly represents Japan.The five breweries use Omachi rice, and produce sake which draws out the taste of sake at artistic levels. Bizen ware was originally used as dishes for serving food. Bizen ware is currently being used in various ways other than as dishware. It can also be used beautifully in different ways in daily life, for example as a vase, a tray, and more. Using only the elements of clay and fire for unique expression, Bizen ware is highly regarded as an art. Through the combination of these items, the good qualities of each are accented, and has new appeal. 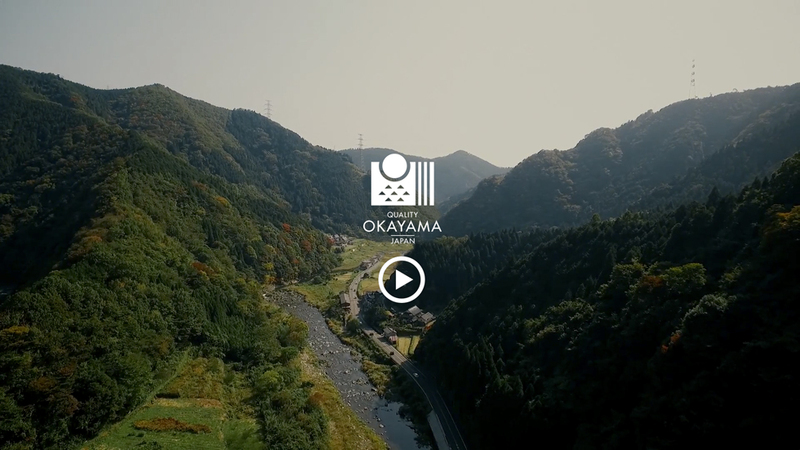 Okayama Prefecture is called “Sunshine Country” because there many clear days, there are many hours of sunlight, the benefit from the waters of three main rivers in Okayama is great, and there are few natural disasters compared with other areas. For these reasons, stable agricultural production of rice as a main crop is possible in this area. The Seto Inland Sea has been used as a main artery of marine traffic since ancient times. Okayama Prefecture is encircled by the gentle inland sea and fertile mountains; the area has developed as an important transportation hub, and as a result, it has also developed as a place where various culture mixes. In recent years, a triennale of modern art known as the “Setouchi Art Festival” is held mainly in the Seto Inland Sea region, and the area is currently grabbing the world's attention.